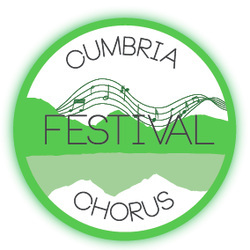 Cumbria Festival Chorus is a large-scale, county-wide choir drawn from all communities in Cumbria and beyond. Our events are open without audition to all enthusiastic singers committed to developing the rich heritage of the British choral tradition. ​Our organising committee is entirely voluntary and has many years' experience of planning large choral events. We have no paid staff and our funding relies on subscriptions, sponsorship and funds from grant-making bodies.